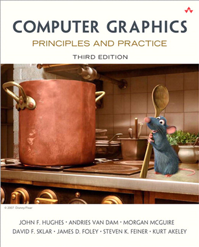 Graphics programming is equal parts physics (how do I accurately model the physical phenomina that I am seeing) and computer science (how do I calculate all this math and still hit 16.66ms). It's all that math you learned but never had a chance to apply. A special kind of point that describes the corners or intersections of geometric shapes. 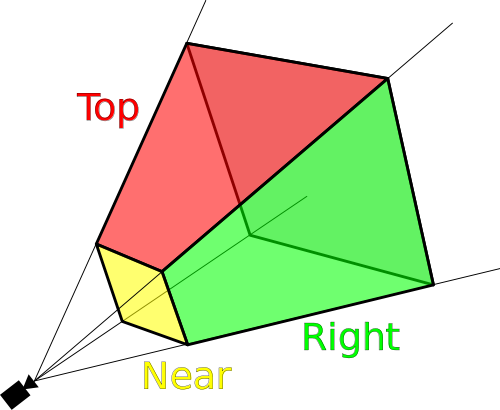 A figure bounded by edges, and the points where two edges meet are the polygon's vertices. 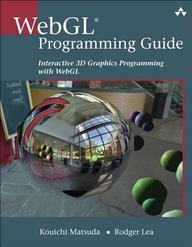 A polygon mesh is a collection of vertices, edges and faces that defines the shape of a polyhedral object in 3D computer graphics and solid modeling. AKA Geometric Model. Why do we use triangles, as opposed to squares (aka quads)? The vertices of a triangle are guaranteed to lie along the same plane. A data buffer is a region of a memory used to temporarily store data while it is being moved from one place to another. 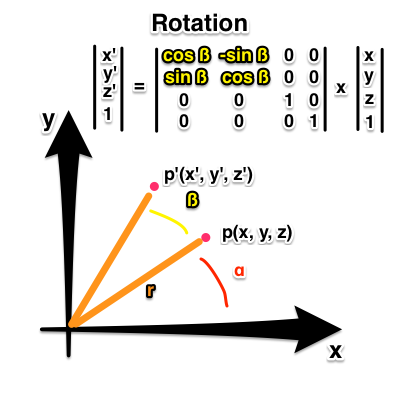 A function between affine spaces which preserves points, straight lines, and planes. Parallel lines stay parrallel. Doesn't preserve angles or distances, but does for ratios between points lying on a straight line. 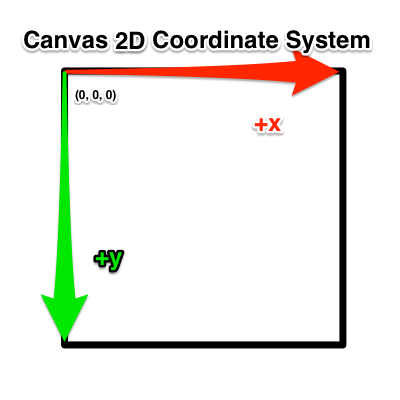 Represent infinite distances as (x/w, y/w, z/w) as w -> 0 which allows us to do perspective transformations. 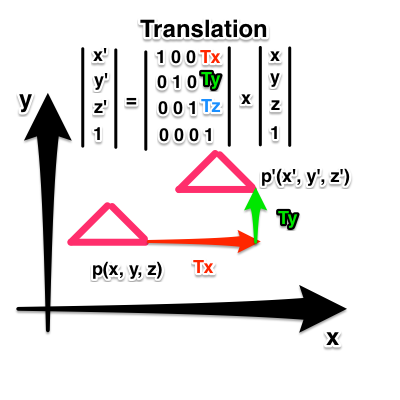 Compose transformations as a series of matrix multiplications. Does the right side of the road eventually touch the left side? 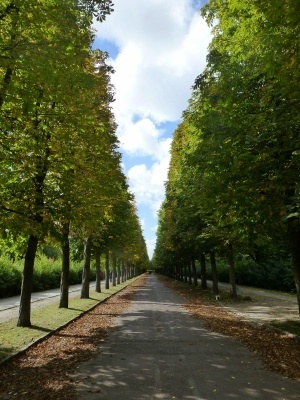 Are the trees getting shorter? 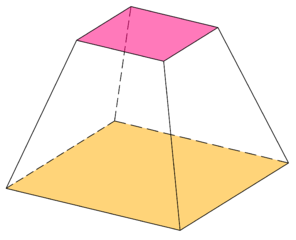 The portion of a solid (normally a cone or pyramid) that lies between two parallel planes cutting it. A data structure representing a rectangular grid of pixels, or points of color, viewable via a display medium. 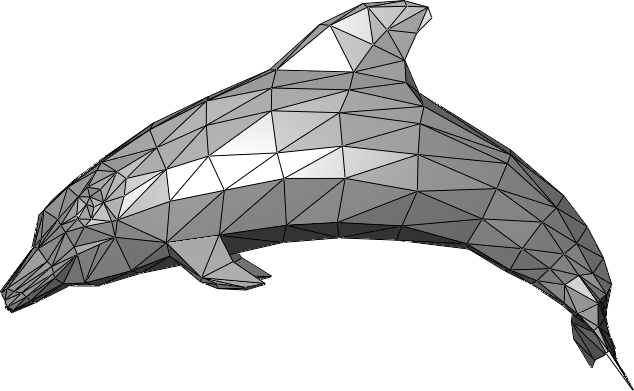 A bitmap that will later be applied or mapped onto a mesh or model. The reduction of a continuous signal to a discrete signal. Allows us to quickly approximate an integral. 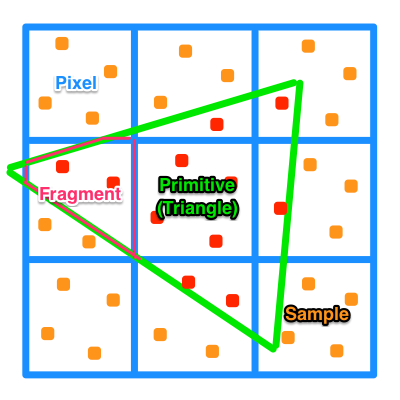 The process to convert shapes, defined in a vector format into fragments (pixels or dots) for display on a video screen. 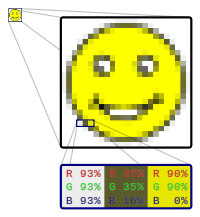 The pixel generated by the rasterization process process which has color, depth, value, texture coordinates, and more. One of the many still images which compose the complete moving picture; each image looks rather like a framed picture when examined individually. Doing the rendering computation fast enough, so that the series of rendered images allow for interaction taking into account user input. Opposite of real time rendering. 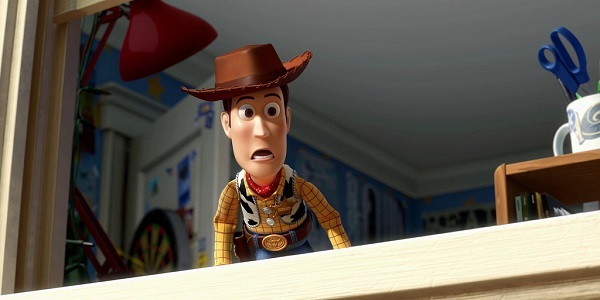 Toy Story 3 took on average 7 hours to render 1 frame (24 fps), and at most 39 hours. Depicting depth perception in 3D models by varying levels of darkness. 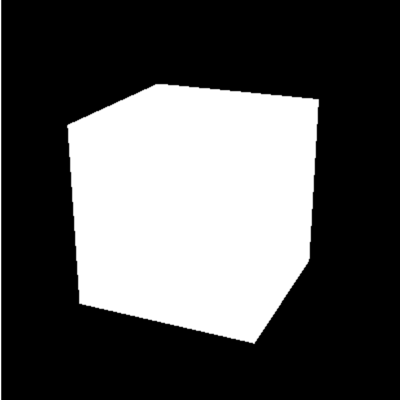 A shader program that implements a scattering function for a set of polygons. Small programs that run massively parallel on the GPU. Shaders come in pairs (for now) of vertex and fragment. A vertex shader can feed a fragment shader. Shaders can be mixed and matched if the have the same output to input. 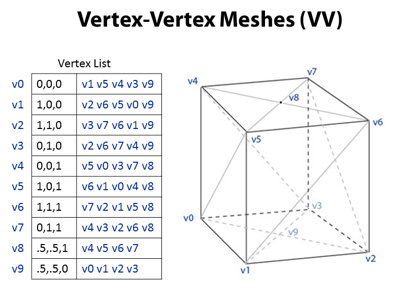 Vertex shaders are run for each vertex. 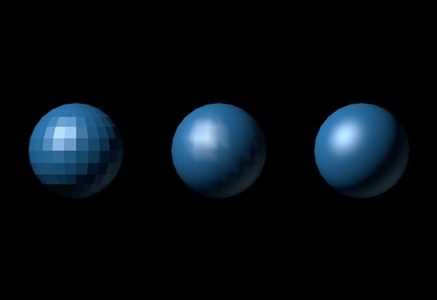 Fragment shaders are run for each fragment, with color values being interpolated inbetween. Anything outside of the 2x2x2 box is culled (doesn't get drawn). 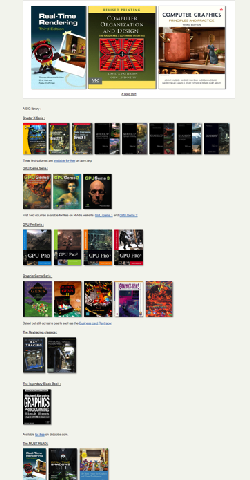 For all sizes of images, (1, 1) represents top right. Most bitmaps store the inverse vertical axis. readPixels assumes lower left origin. Oops, your browser doesn't support html5 canvas! 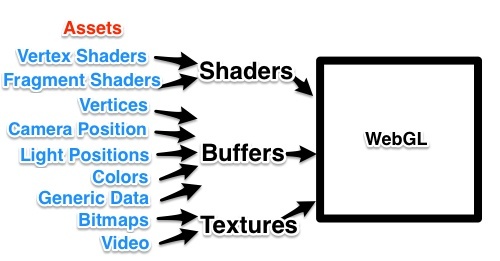 Uniforms and Attributes are inputs to shaders. Uniforms are the same (uniform) for all vertices. 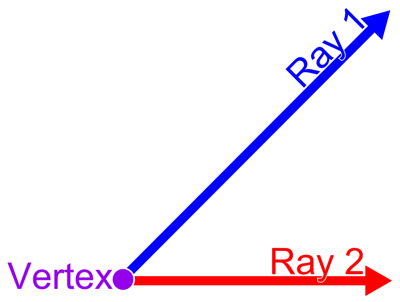 Attributes are unique per vertex. 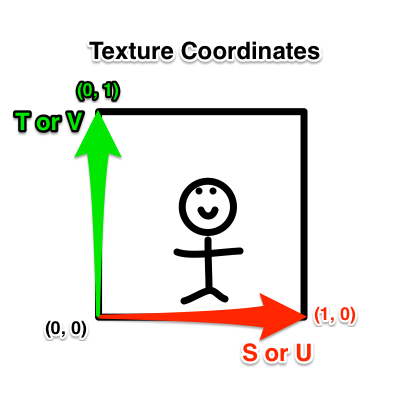 Attributes are only inputs to vertex shaders. 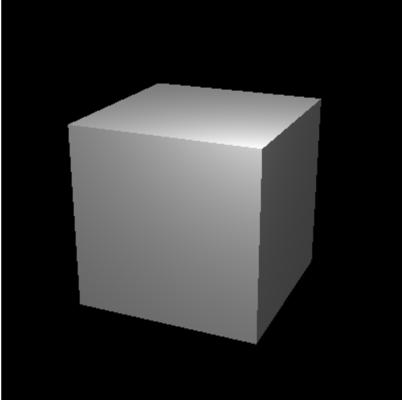 Vertex shaders can output to fragment shaders via varyings. 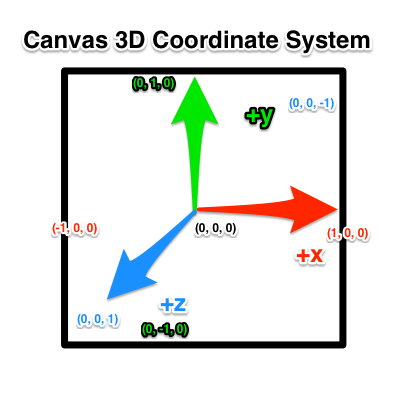 A 3D application may use more than one gl program. Move shaders from HTML or JS into their own files, load with XHR. Though, we can do cool tricks by procedurally generating strings of shaders at runtime. We can use reflection of a gl program to get references to its attributes and uniforms. This step is not strictly necessary, but can help you get references when shaders have many inputs. Move compile, link, reflection, and other helper functions into reusable file. First, we need to beef up our shaders. 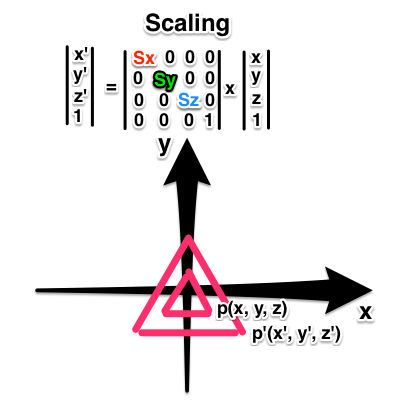 As a naive first attempt, let's draw each point with its own draw call. Multiple draw calls sometimes are needed to build up a scene. Draw calls can be the most expensive call. Try to minimize draw calls. Instead, we can push data in multiple buffers to the GPU. Copying memory (uploading buffers) from the main memory to the video memory can be expensive. 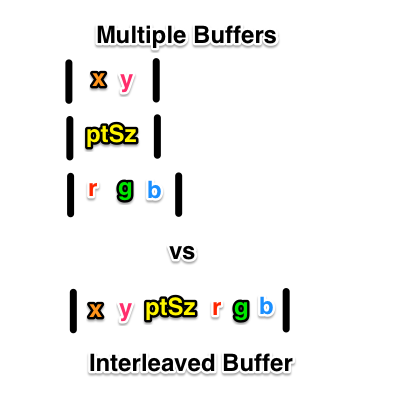 It can be faster to upload a single larger buffer in one go than multiple smaller buffers individually. What if only some of the data in our buffer is changing every frame of animation? It might be wiser to use multiple buffers instead of interleaved. There is no one right answer; depends on situation. Profile your app and figure out what works best. Other tricks like Element Array Buffers can help reduce memory usage. Multiple textures can use the same texture unit, but shaders can only refer to the latest bound texture. Can be done during initialization for static images. Must be done during requestAnimationFrame loop for video. Must be done when limited on texture units per draw call. Uploading textures to the GPU can be expensive. Try to minimize texture swapping between frames. 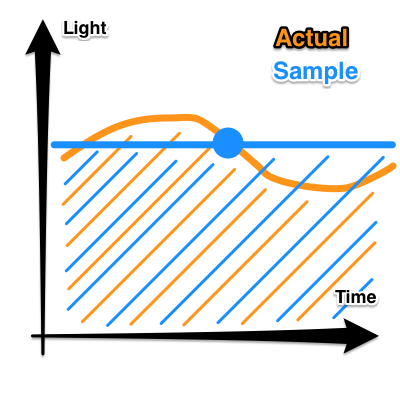 Lambert - The shade is the cosine of the angle between surface normal and light vector. Blinn-Phong - The shade is composed of a specular, diffuse, ambient, and shininess components of the material. All of this can be done with what you now know. Light directions and material reflective coefficients are buffered.